Dozens of residents demonstrated outside a conference at Hagerty Center Monday attended by several GOP lawmakers to protest budget proposals from Gov. Rick Snyder. 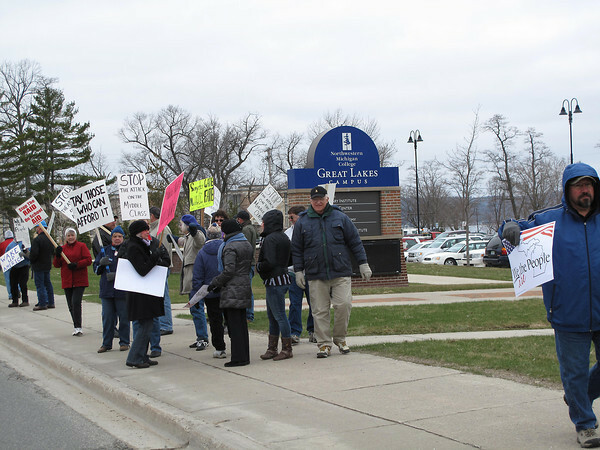 Hundreds also picketed Snyder's appearance in Cadillac Tuesday morning.